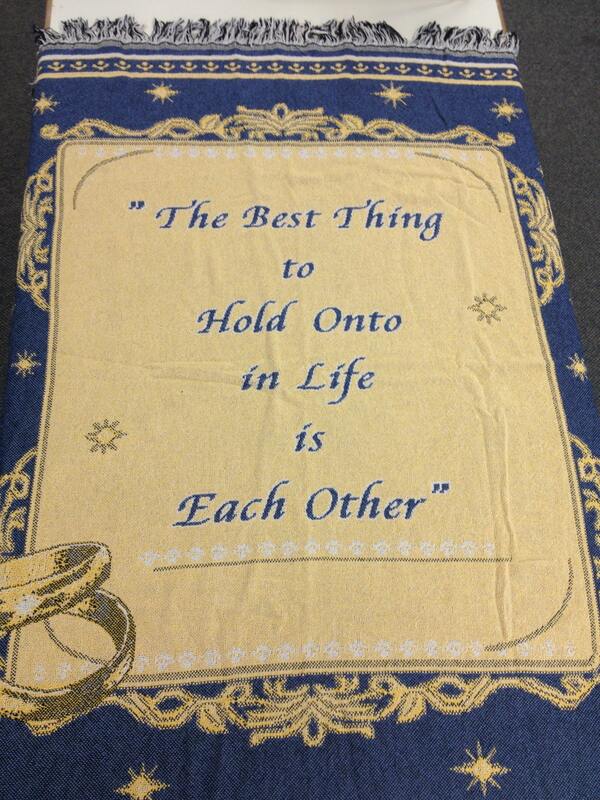 This beautiful soft cotton throw would make a lovely gift for a wedding. 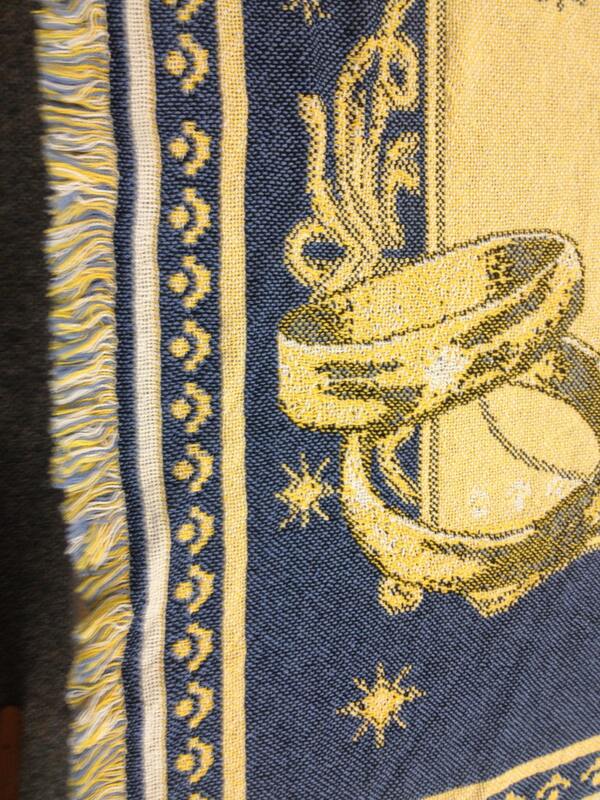 It is 100% cotton and has fringe edges all around the afghan. 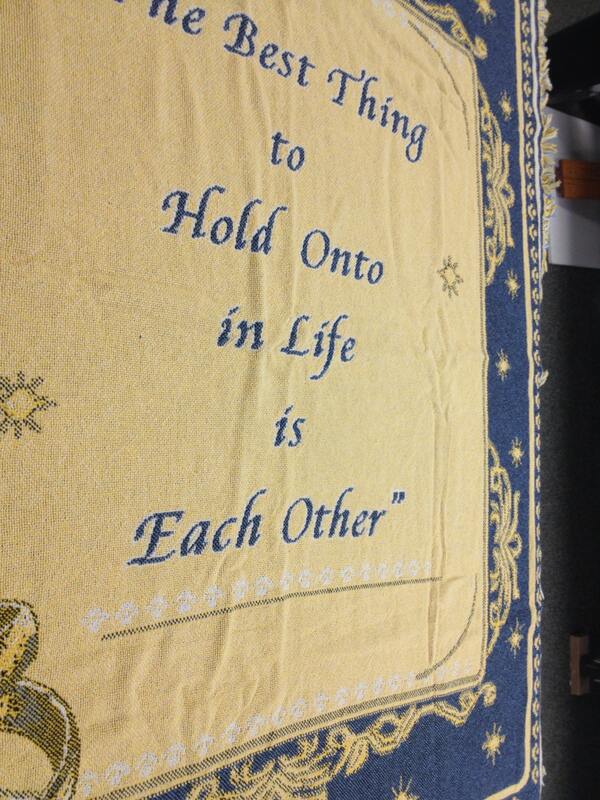 It measures 48' X 56" and has blue text that says "The Best Thing to Hold Onto In Life Is Each Other." The background color is yellow. 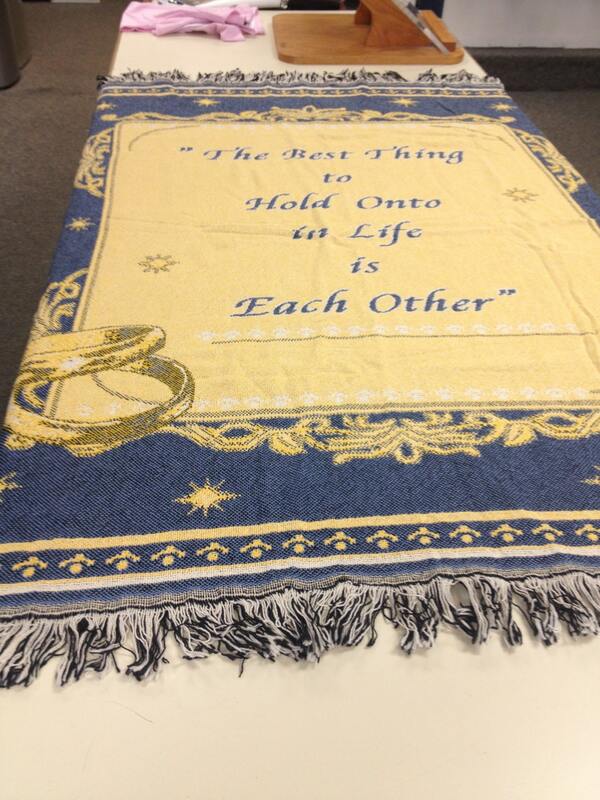 Upon purchase please provide the couples names and wedding date to be embroidered. Also, provide the color of thread you'd like it embroidered in. Suggested colors would be Blue Ink, Cream, White, or Black.